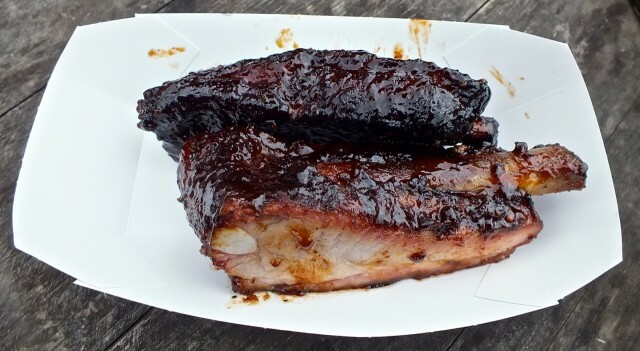 Pork ribs from Smokin’ Mo’s. Photo by Ed Simon for The Los Angeles Beat. Outta Gas with PC tickets. Photo by Ed Simon for The Los Angeles Beat. Preparing brisket box at wildebeest. Photo by Ed Simon for The Los Angeles Beat.